A fabulous sale for Father's Day bargain hunters! 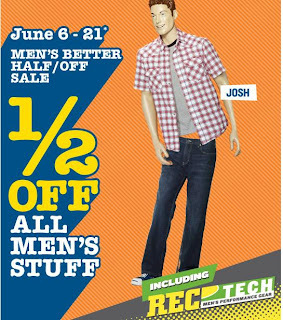 Old Navy is having a "Men's Better Half/Off Sale" from June 6-21st - get 50% off all men's stuff! Click here to find an Old Navy near you. 0 Response to "50% Off Men's at Old Navy"